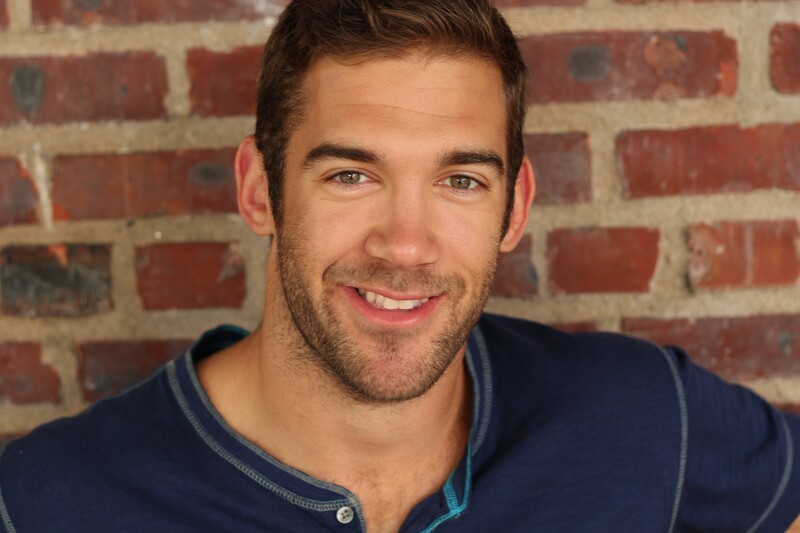 Lewis Howes is a former professional football player who turned a career-ending injury into a springboard into entrepreneurship. Starting with nothing but an obsession to learn about business and marketing, he has since built a multi-million dollar media empire and become a highly sought-after speaker and consultant. Lewis is a great connector, so I asked him to share some insights on how he connects with others and stands out from the crowd. Corcoran: Much of your business growth has been driven by your services and products related to LinkedIn. Why do you think so many people overlook this social media platform? What are some simple steps people can take to maximize their returns with the connections they make on LinkedIn? Howes: Social media is great if you invest in your audience. People create limited beliefs; they think social media platforms (like LinkedIn) are too complicated to figure out or they're not smart enough to master them. Another thing I've heard is that they don't think social media platforms (like Twitter) are effective marketing tools. Every social media platform can add huge value to your business, product, or service if you learn how to do it right. LinkedIn is different from other platforms because it is centered around professional connections, so it's full of opportunity to stand out. By putting in the effort to leverage its uniqueness, you can easily rise above the crowd. Know your audience (their struggles, their pain points) -- that will give you clear direction on who to target and what social media platforms you should use to reach them. Grow your email list but don't burn it. Corcoran: You've grown a large following in part by being honest and candid. Do you see a lot of entrepreneurs missing this seemingly obvious point when it comes to business and relationships? Howers: Some are. But the great thing about the internet is that if you're inauthentic, or scammy, your audience knows right away. If you're only out there trying to sell, people know the difference. I think entrepreneurs are learning to be more transparent in sharing who they are and what they believe in. Corcoran: Growing and leveraging strong relationships is key for anyone looking to increase their net worth or influence. What advice can you offer to anyone looking to create strong relationships, particularly with others who are more successful than they are? Howes: Mentors are essential to being successful, but you have to think about them in a win-win kind of way. You have to be willing to add a lot of value to their work, even if it's just doing menial stuff or working for free. You also have to approach the relationship in a natural way. Never ask a mentor to be your mentor -- that's a sure way to lose the opportunity. Start by asking them to tell you how they achieved success. Everyone likes telling their own story. Then look for ways you can add value. Corcoran: Not that long ago, you knew very little about business, entrepreneurship or social media. Yet you've been able to achieve success in these areas in a relatively short amount of time. How can others make the biggest impact when starting a new business venture even with limited experience or skills? Howes: Know your worth. Don't be scared to share what you know. I wasn't an authority, but I had the drive and the passion. I wasn't scared to put it out there and create products. Some people get so caught up in the "it has to be perfect" that they never produce anything, and that's horrible. You have to focus on your strengths. If you try to do everything well, you'll fail or burn out. Focus on what you're really good at and either outsource the rest or find shortcuts to help you. Admit your weaknesses and find others to support you in those areas. Corcoran: You credit "adding value to influential people" as part of your strategy when you first started out. How can you still make this happen when you feel like you have little or no value to give? Howes: If you're of the belief you have little or no value to give, the first thing you need to do is shift your mindset and get out of that limited belief, because that's probably showing up in a lot more areas of your life than just business (relationships, etc). Everyone has value to add. Everyone has a skill set or an idea they can share. What you think is simple and easy other people [may] struggle with, so figure out what comes naturally to you and hone that skill. Then find a way to use that to add value to influential people. Corcoran: You're a large proponent of being passionate about whatever you take on in business or life. What advice do have for those still struggling to find their passion or who are having trouble trying to parlay it into a successful business? Howes: You have to start doing something to figure out if you're passionate about it. Most of us aren't going to know our passions ahead of time. We stumble into them because we are taking action and living life. Try something new, hang out with new people, commit to a challenging project. You'll find what you're passionate about when you break your routine and start investing in yourself. Also, ask the people closest to you what they think you do great in as this could be a good indicator for which direction to go. Corcoran: Tell us about a few relationships you credit for your success -- mentors, friends, business associates etc. Howes: Chris Hawker was the first entrepreneur/inventor who gave me a chance to learn about business and sales and packaging ideas. He looked past my inexperience and sloppy appearance and let me spend hours of his time talking, in exchange for working for him at his company, Trident Design. He is still a great friend and collaborator. I heard Stuart Jenkins speak when I was in high school and was so impressed with him. He was the headmaster of the college I ended up at and I started running with him in the mornings just to have a chance to talk to him. Even though I was always breathless, he gave me time and it meant a lot. Frank Agin was in the Toastmasters group I joined after my football days. I was terrified of speaking in public and I chased him down after my first meeting to ask if he would coach me. He helped turn me into the speaker I am today and we ended up launching a product together. I credit my incredible team for a lot of my success. They support me in every way; everyone I work with is passionate, organized, and they keep me going (literally). They're the reason I'm able to focus on my mission to serve one hundred million people. I wouldn't be able to do what I do without their support and hard work. John Corcoran is an attorney and former Clinton White House Writer. He writes about how to increase your revenue by building relationships. You can download his free, 52-page ebook, How to Increase Your Income Today by Building Relationships with Influencers, Even if you Hate Networking.